Our team of specialists and staff strive to improve the overall health of our patients by focusing on preventing, diagnosing and treating conditions associated with your digestive system. Please use the search field below to browse our website. You'll find a wide array of information about our office, your digestive health and treatments available. If you have questions or need to schedule an appointment, contact our office, 928-773-2547. It is very important that you receive confirmation of your specific preparation before downloading the instructions from our website. Preparations are very specific to each patient's need. Once you receive confirmation of your preparation, then please utilize the following links to obtain your specific instructions. As always, call our office with any questions or if you require clarification, 928-773-2547. In the PEG procedure, the doctor places and secures a feeding tube into the stomach. PEG tubes can last for months or years, but if replacement is required, it is a simple procedure for the doctor to remove or replace the tube. 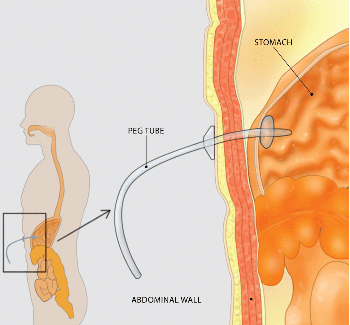 PEG stands for percutaneous endoscopic gastrostomy, a procedure in which a flexible feeding tube is placed through the abdominal wall and into the stomach. PEG allows nutrition, fluids and/or medications to be put directly into the stomach, bypassing the mouth and esophagus. This brochure will give you a basic understanding of the procedure-how it is performed, how it can help, and what side effects you might experience. How is the PEG performed? Your doctor will use a lighted flexible tube called an endoscope to guide the creation of a small opening through the skin of the upper abdomen and directly into the stomach. 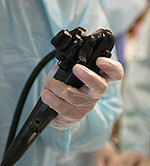 This procedure allows the doctor to place and secure a feeding tube into the stomach. Patients generally receive an intravenous sedative and local anesthesia, and an antibiotic is given by vein prior to the procedure. Patients can usually go home the day of the procedure or the next day. Who can benefit from a PEG? Patients who have difficulty swallowing, problems with their appetite or an inability to take adequate nutrition through the mouth can benefit from this procedure. In preparation for PEG, an endoscope-a lighted flexible tube manipulated by a handle-guides the creation of a small opening through the skin of the upper abdomen and directly into the stomach. How should I care for the PEG tube? A dressing will be placed on the PEG site following the procedure. This dressing is usually removed after one or two days. After that you should clean the site once a day with diluted soap and water and keep the site dry between cleansings. No special dressing or covering is needed. How are feedings given? Can I still eat and drink? Specialized liquid nutrition, as well as fluids, can be given through the PEG tube. If the PEG tube is placed because of swallowing difficulty (e.g., after a stroke), there will still be restrictions on oral intake. Although a few PEG patients may continue to eat or drink after the procedure, this is a very important issue to discuss with your physician. Are there complications from PEG placement? Complications can occur with the PEG placement. Possible complications include pain at the PEG site, leakage of stomach contents around the tube site and dislodgment or malfunction of the tube. Possible complications include infection of the PEG site, aspiration (inhalation of stomach contents into the lungs), bleeding and perforation (an unwanted hole in the bowel wall). Your doctor can describe symptoms to watch for that could indicate a possible complication. How long do these tubes last? How are they removed? PEG tubes can last for months or years. However, because they can break down or become clogged over extended periods of time, they might need to be replaced. Your doctor can easily remove or replace a tube without sedatives or anesthesia, although your doctor might opt to use sedation and endoscopy in some cases. Your doctor will remove the tube using firm traction and will either insert a new tube or let the opening close if no replacement is needed. PEG sites close quickly once the tube is removed, so accidental dislodgment requires immediate attention.